Two people with knowledge of the trade said the Mavericks sent Barnes to the Kings for Zach Randolph and Justin Jackson. The people spoke on condition of anonymity because the trade hadn’t been announced. Barnes played most of the third quarter before reports of the trade surfaced, scoring seven of his 10 points. He wasn’t available in the locker room after the game. 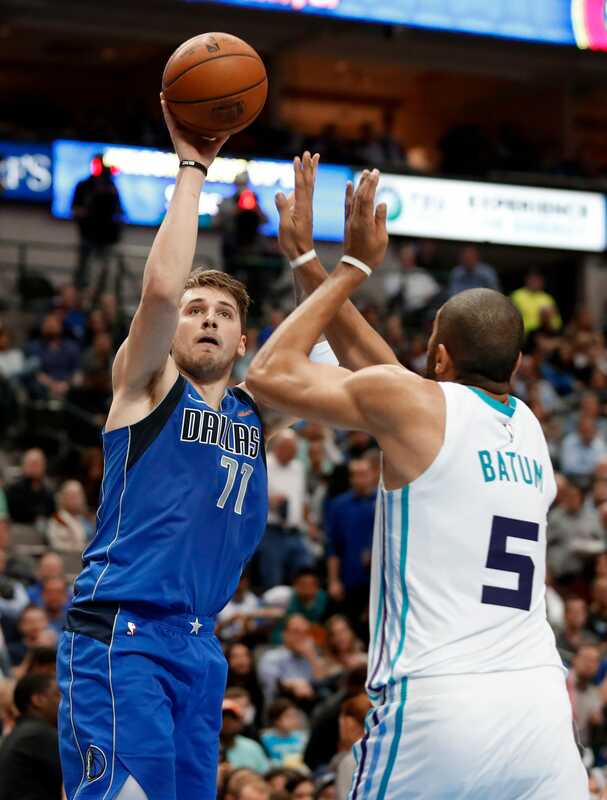 Mavericks: After setting franchise record for 3s in a quarter by going 10 of 17 from long range in the first quarter of the meeting in Charlotte, the Mavericks missed their first 10 before Hardaway and Doncic hit consecutive 3s in the final 1:11 of the first. … All of Doncic’s triple-doubles have come in the past seven games. … Dwight Powell had his second double-double with 11 points and 12 rebounds.